After three months in power, House Democrats have finally hit their investigative stride. They’ve teed up invasive probes of President Donald Trump’s finances, uncorked subpoenas and set the stage for court battles that could consume Washington through the 2020 election. But everything could change Thursday when Attorney General William Barr releases a redacted version of special counsel Robert Mueller’s long-anticipated report on the Trump campaign’s links to Russia. Mueller’s findings — and whether they’re damning, benign or too heavily redacted to understand — are certain to be a major factor guiding the direction of Democrats’ probes. Such a realignment may be inevitable. 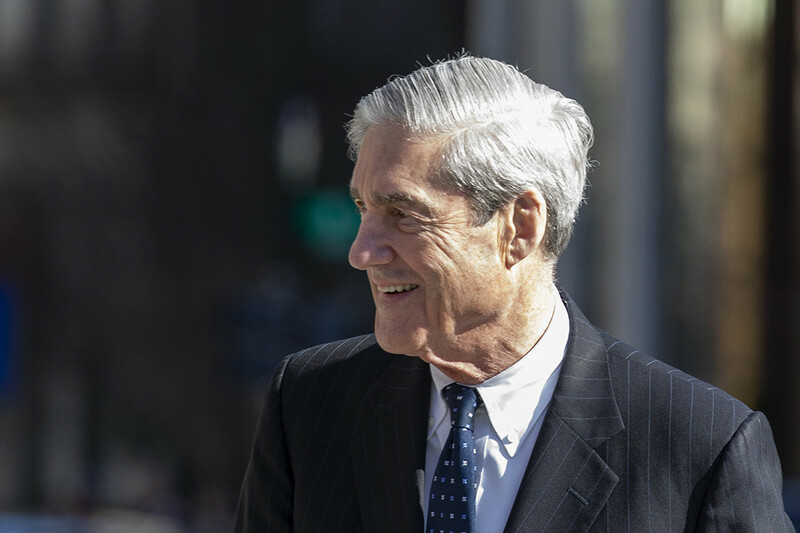 While Democrats have vowed to press on with their investigations regardless of Mueller’s report, they’ve continued to publicly lean on the special counsel’s findings in order to determine what comes next. According to a senior Democratic aide, the six House committees conducting Trump-related investigations will immediately determine which revelations in the report apply to which panel and where there might be overlap as lawmakers move forward. But Democrats have also made clear that they have low expectations for what they’ll receive from Barr, who has said he would not share the full Mueller report with Congress. That frustration was visible last month when Barr released a four-page summary of Mueller’s findings that indicated Mueller did not establish that the Trump campaign conspired with the Russian government to influence the 2016 election and that Mueller did not render a judgment on whether Trump obstructed justice — though the Trump-appointed attorney general decided not to pursue charges against the president. Despite the limited information that was actually provided by Barr, the political fallout extinguished any immediate push for impeachment and led to a rapid reshuffling of Democrats’ budding probes. The House Intelligence Committee postponed an interview with longtime Trump associate Felix Sater and the Judiciary Committee de-emphasized a wide-ranging obstruction of justice and corruption probe aimed at Trump. Both panels’ chairmen say they need to see Mueller’s report before continuing. And in recent weeks, Democrats have publicly downplayed their desire to investigate Trump on every front imaginable. At their annual retreat last week, House Democrats pointedly excluded any discussions of their oversight strategy and pivoted quickly to discussing health care and the economy when pressed on their plans. Democratic lawmakers and aides argue that public support for congressional oversight is still strong. Regardless of the findings in the Mueller report, they say, polling shows Americans want Congress to police Trump and investigate allegations of corruption, and that many Americans are skeptical of Barr’s characterization of Mueller’s findings. Mueller’s findings will arrive just as Democrats reach flashpoints in their investigations. Judiciary Committee Chairman Jerry Nadler (D-N.Y.) is set to issue a subpoena as early as Friday for all of Mueller’s grand-jury information and underlying evidence, which could be used as part of his panel’s own investigation. Barr has said he won’t ask a court for the grand-jury information and doesn’t intend to share the full report with Congress, including passages on “peripheral” third-party figures. Similarly, Democrats have launched an effort to access Trump’s tax returns and other financial information, an effort they say is aimed at ensuring that Trump has no foreign entanglements or conflicts of interest stemming from his sprawling business empire. Oversight and Reform Committee Chairman Elijah Cummings (D-Md.) has already issued subpoenas to accounting firm Mazars USA to get his hands on 10 years of the president’s financial records. On Monday, Financial Services Committee Chairwoman Maxine Waters (D-Calif.) and Intelligence Committee Chairman Adam Schiff (D-Calif.) issued subpoenas to other financial institutions including Deutsche Bank; Capital One is likely to be served with its own subpoena, too. In the meantime, Trump’s attorneys are doing everything they can to ensure that the president’s financial history is shielded from House Democrats. Nadler said Monday during a talk at Fordham University that House Democrats are “just starting” their oversight of the Trump administration. “We are way behind the eight ball,” Nadler said, accusing Republicans of abandoning oversight of the Trump administration when they held the House in the previous Congress. One wild card remains ahead of Thursday’s release: Trump’s reaction to the report. The president has flirted with pardons for some of his associates entangled in the probe, though he insists he hasn’t given it much thought of late. And even as Trump triumphantly tweets “No Collusion — No Obstruction!”, his tone has soured as the likelihood of damaging details emerging in Mueller’s report appears to grow. Trump has increasingly demanded that the FBI and Justice Department officials who launched the Trump-Russia probe be investigated themselves. Barr has indicated he intends to review allegations of FBI misconduct as well, emboldening Trump allies who have alleged a “deep state” conspiracy to undermine the Trump presidency. It remains unclear whether the White House will move to claim executive privilege to shield some parts of the report from public view. Barr has said publicly that he does not intend to give the White House a privileged review of the report before it’s released to the public; but aides and lawmakers are skeptical of that promise, especially if it could undermine Trump’s claim that the report exonerated him. “As usual, he’s overplayed his hand. ‘Total exoneration’ — 400 pages does not equal ‘total exoneration.’ So of course they’re getting cold feet. But we’re going to get the report,” said Rep. Jim Himes (D-Conn.), a member of the Intelligence Committee. A Mueller report that provides little new information — or one so heavily redacted that its findings are hard to decipher — could encourage Democrats to shift their focus. Though a wide range of investigations will undoubtedly continue, an underwhelming report from Mueller will likely drive those probes underground and keep Democrats focused on the pocketbook issues that voters say are more important to them. Still, the lawmakers leading the probes have said publicly that Mueller’s report has little bearing on their own investigative strategy. Mueller, they note, had a limited mandate and didn’t pursue avenues like money laundering or hush money payments to women alleging affairs with Trump in 2016. At the Fordham event on Monday, Nadler said his efforts to investigate potential abuses of power by Trump were an important area for Congress to pursue, even if impeachment isn’t part of the equation.